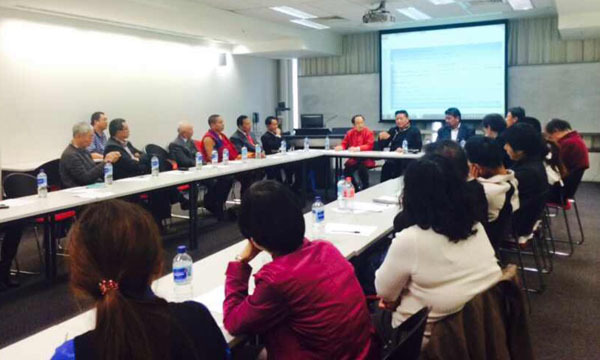 (TibetanReview.net, Aug27, 2014) – Six members of the Tibetan Parliament-in-Exiled led by Speaker Penpa Tsering are visiting Australia to speak about the exile Tibetan administration’s middle way approach of seeking autonomy for Tibet under Chinese rule among Tibetans and the Australian public, government leaders, lawmakers, and others. 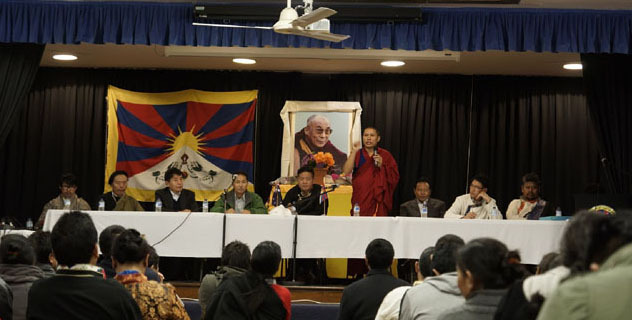 The delegation arrived in Sydney on Aug 23 and addressed the Tibetan public there, said the exile Tibetan administration at Dharamshala, India, on its Tibet.net website Aug 25. It was not clear how long the visit will last. On the following day the delegation held a meeting in the city with Chinese scholars, Tibetans and groups supporting the Tibetan issue. Feng Chong Yi, a professor of political science at a university in Western Australia, chaired the meeting. Leng Mei, President of the Tibetan-Chinese Friendship Association, spoke about the historical ties between Tibet and China and expressed apology for the atrocities against the Tibetan people by the Chinese communists, according to the Tibet.net statement. Leng expressed supported for the middle way approach and emphasized the imperative to raise awareness about it among the Chinese public. The Dalai Lama’s Canberra-based Representative, Mr Lhakpa Tshoko, is coordinating the visit which has Mr Thupten Lungrig, Geshe Namdak Tsukphue, and Mr Sonam Gyaltsen as the other delegation members.